How can CMG represent clients who are already dead? CMG Worldwide represents 220 legends, dead and alive. When a notable celebrity tragically passes away, legal representation is often necessary to protect his or her estate and intellectual property. The image and likeness of these icons can be quite profitable even posthumously. 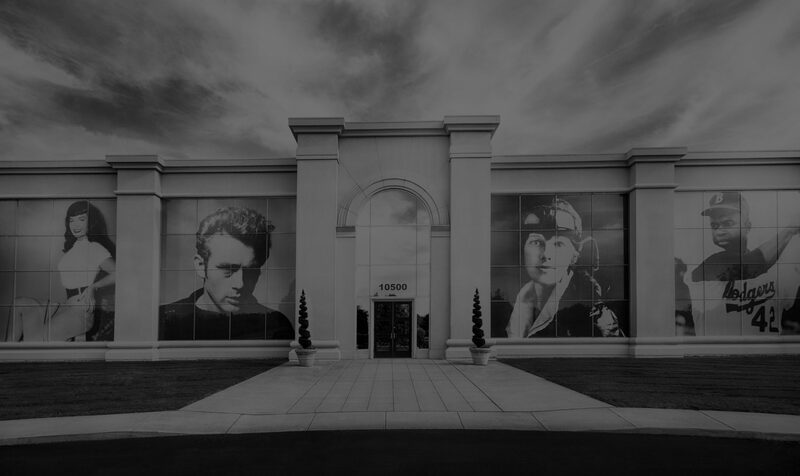 CMG’s clients often rank in Forbes’ listing of the Top-Earning Dead Celebrities. James Dean is my favorite actor of all time. Can I design and distribute a shirt with my favorite picture of him? Not without a proper license. Any usage of our clients’ image, name, or likeness requires permission from the estate and a license, both of which CMG can help you attain. Please see our contact page for information regarding how to license our legends for your commercial use. If one of your legends has already passed away, isn’t their image in the public domain? No. We work with our client’s Right of Publicity which is the right of people to avoid commercial use of their name or likeness without consent. Thanks in large part to the work of CMG CEO and Chairman, Mark Roesler, this right extends to protect even deceased celebrities in many U.S. states. How can CMG help people who aren’t celebrities? CMG helps businesses and fans obtain licenses for the use of our clients. We also represent a number of logos and trademarks owned by various entities. Can I afford to license your super famous celebrities? Licensing fees depend on a number of factors including the legend, the project, and the intended usage. Contact CMG to help you with this process.There is no fee to inquire about obtaining a license. CMG has been at this for almost four decades. There can be no substitute for experience and skill in the licensing world and our position as the industry leader gives us an advantage that other agencies have simply not been able to match. Our talented staff members and illustrious clientele have combined to position CMG at the apex of the intellectual property rights industry. What are clearances and when do I need to use such a service? Clearances ensure that your products or projects do not infringe on existing intellectual property. The process aids in identifying any licenses that may be required for your usage of intellectual property or copyrighted material. In most cases any commercial use of these materials is illegal and could have negative legal ramifications for your business. Does CMG clear all types of rights? CMG specializes in clearing copyrights, trademarks, and rights of publicity. Can CMG help clear celebrities who are not on their roster of clients? Yes. CMG’s expert legal team can offer its consulting services to clear any rights and assist with licensing 3rd party rights. Contact us for more information. Who is Mark Roesler and what makes him so qualified to work in this field? In his 37th year of representing over 1,500 of the world’s most famous personalities, CMG Worldwide Founder & Chairman, Mark Roesler, has successfully positioned his marketing and management company as the dominant force in the evolving intellectual property arena. See his personal website, markroesler.com, for more information regarding his vast litigation history and to see him featured with Steve Kroft on 60 Minutes. Additional details can be found there regarding the expansive services Mr. Roesler provides including valuation, consulting, expert witness testimony, and speaking engagements.